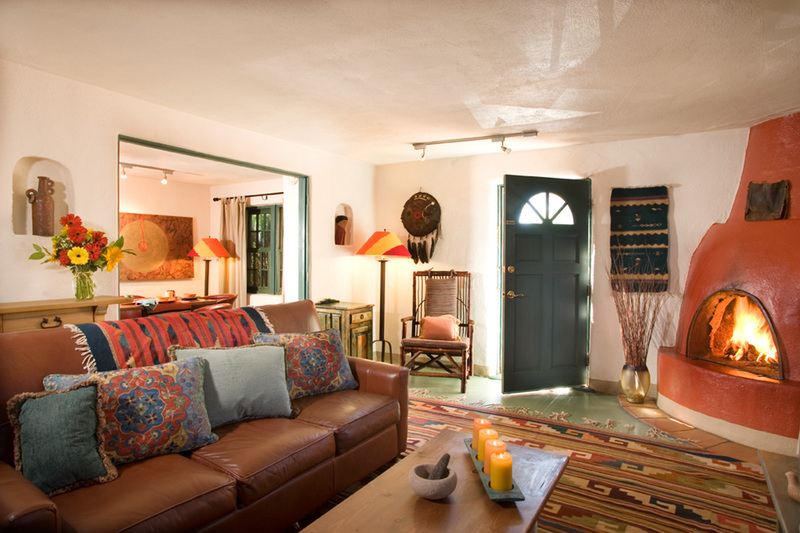 Steps from the Plaza, discover our welcoming compound, tucked away from it all. 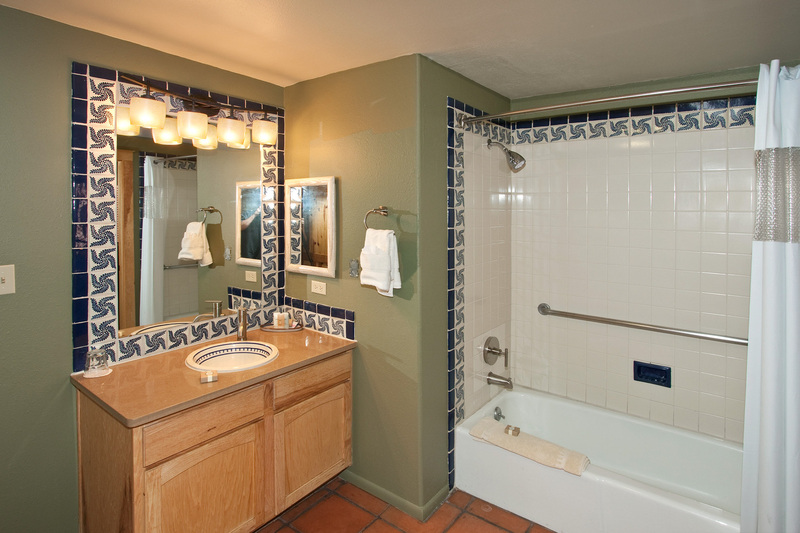 With light-filled rooms offering comfort and charm, you’ll feel at home in Las Palomas. 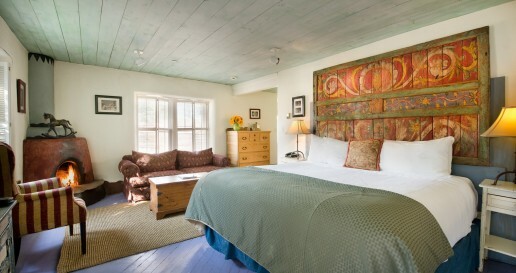 Some rooms have rustic wooden doors and local artwork and some have vintage mid-century furniture. 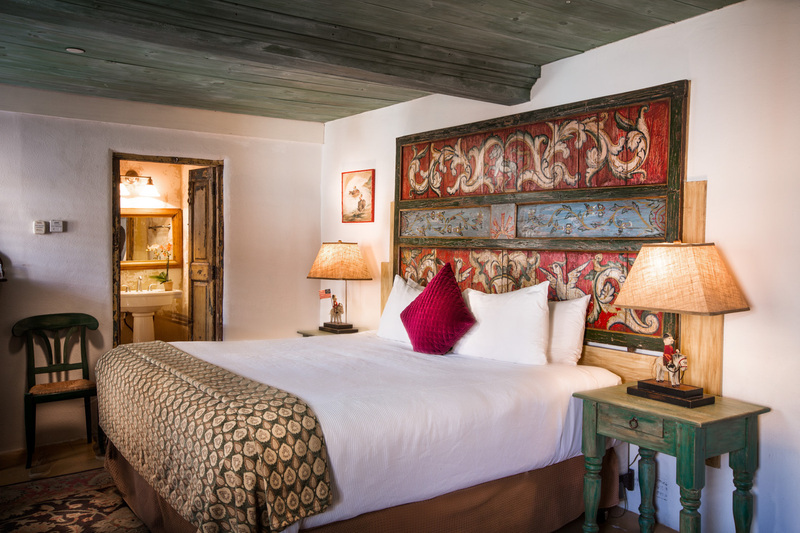 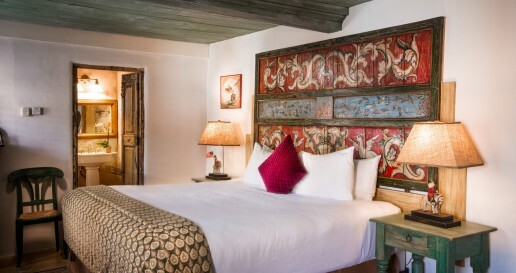 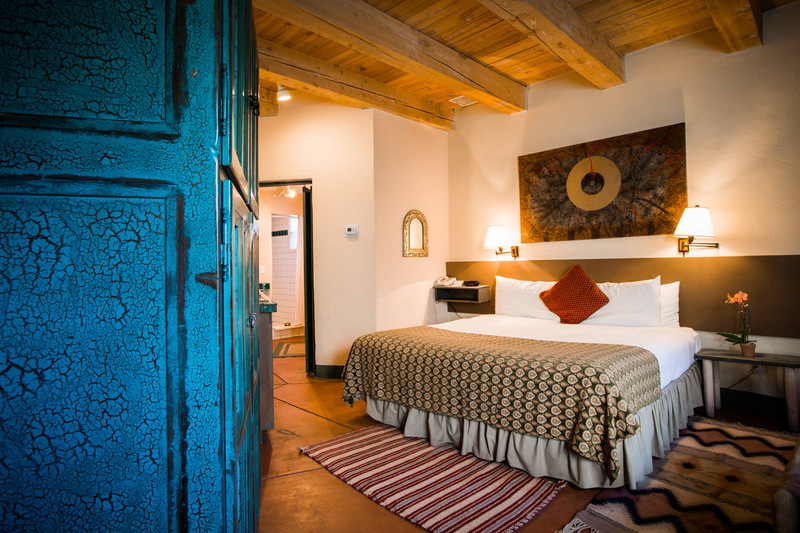 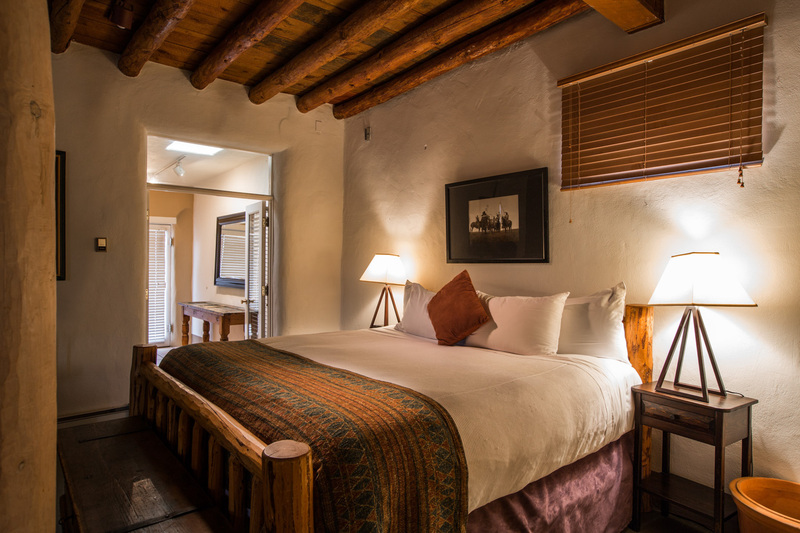 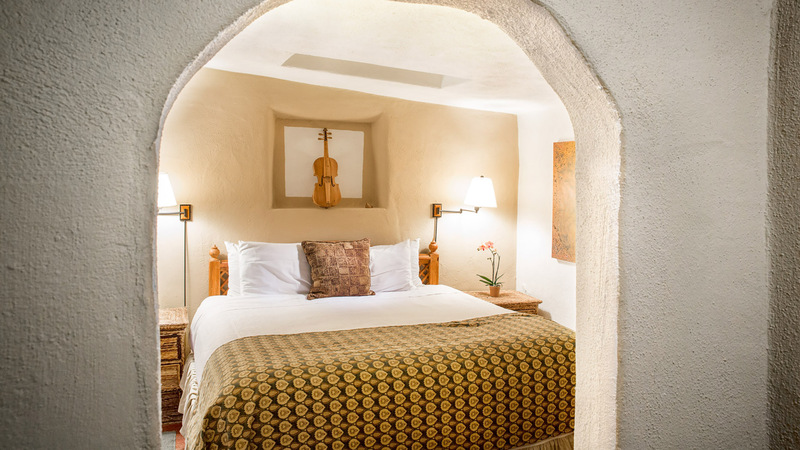 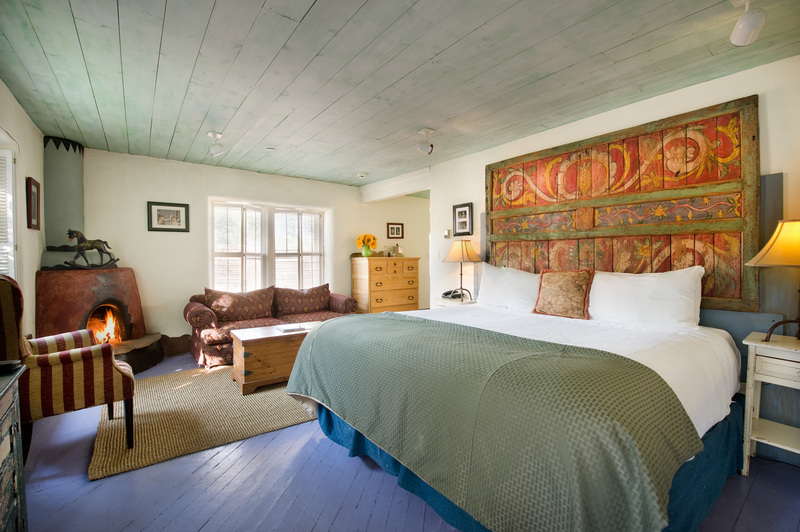 While no two rooms are alike, every room is a Santa Fe sanctuary, artfully furnished with natural materials of adobe, wood, tile and leather. 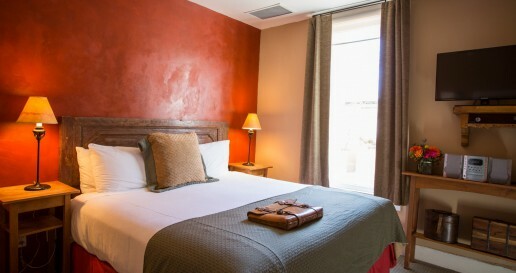 Splashed with bold colors and natural textures, each studio room is a private sanctuary that imbues its own unique appeal. 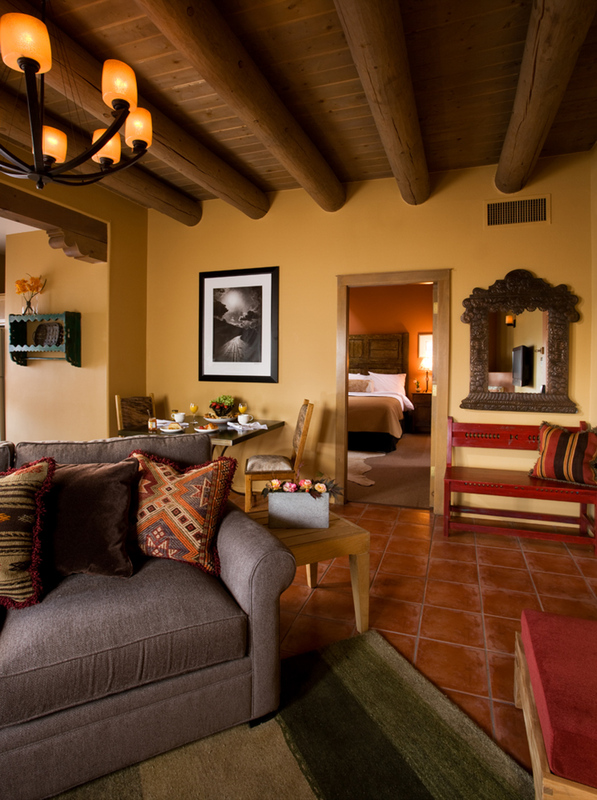 Custom furnished, with local artwork on the walls and hand-woven rugs underfoot, you’ll feel right at home here. 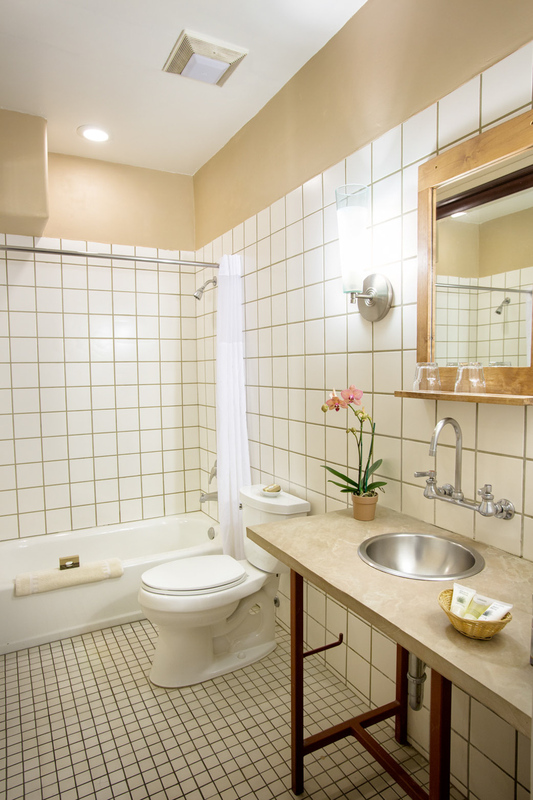 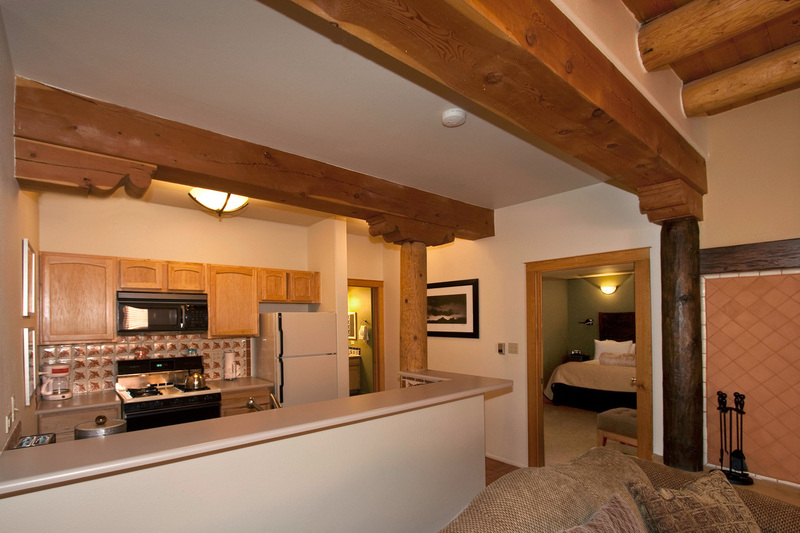 Curl up in front of your gas or wood burning fireplace in our more spacious Deluxe Studio. 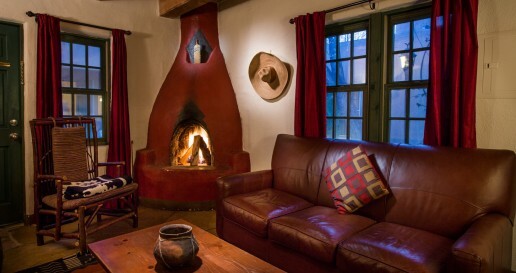 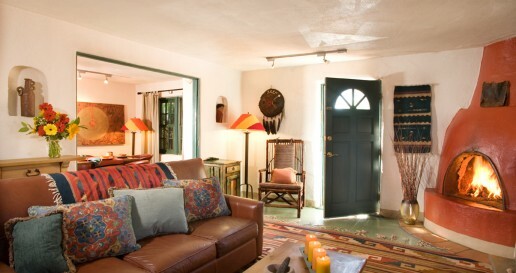 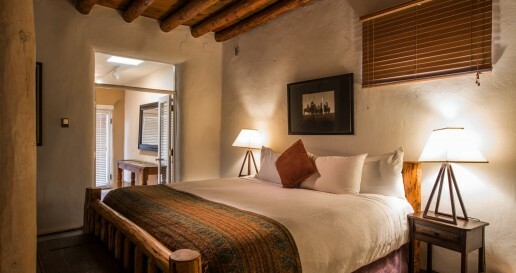 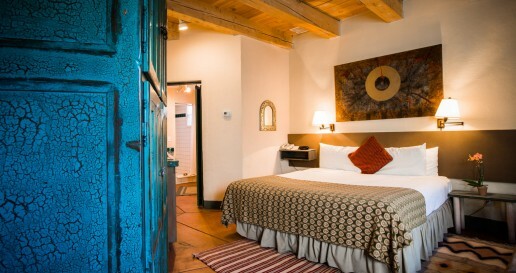 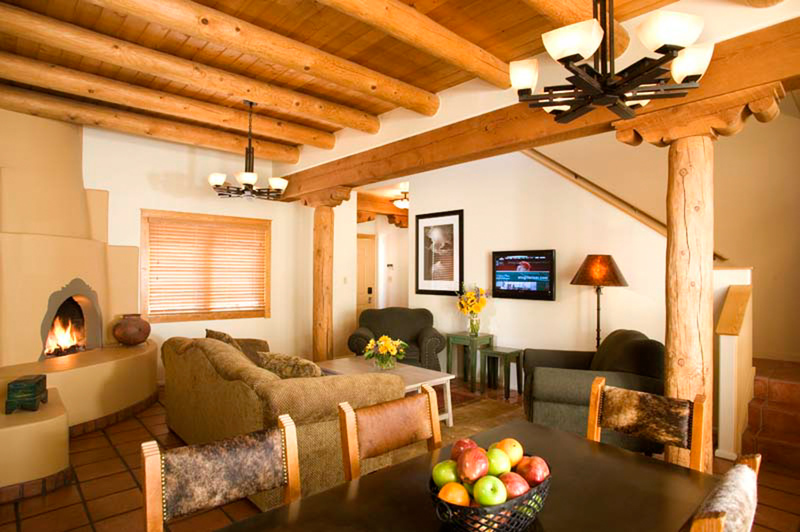 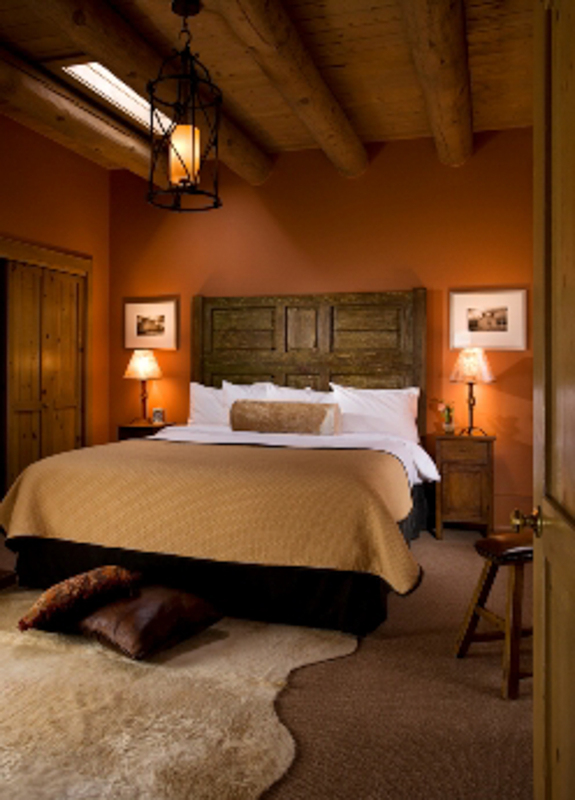 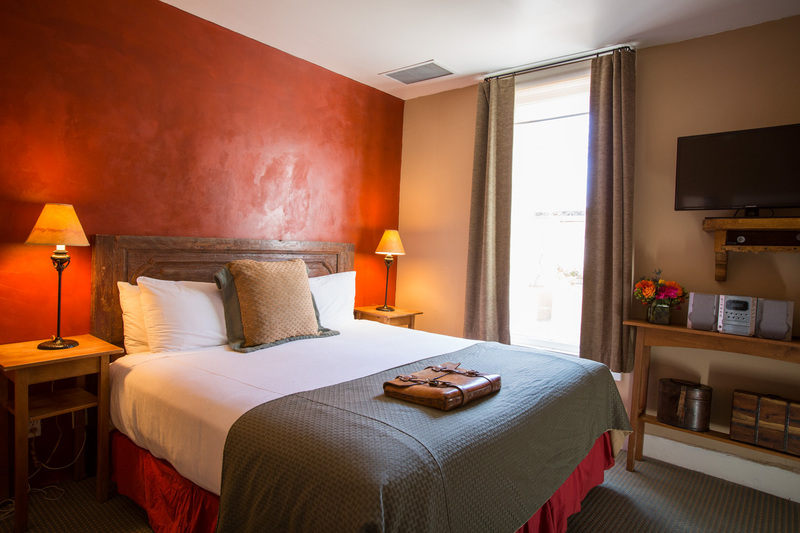 Furnished with rustic Santa Fe decor, you'll enjoy the warm cozy vibe. 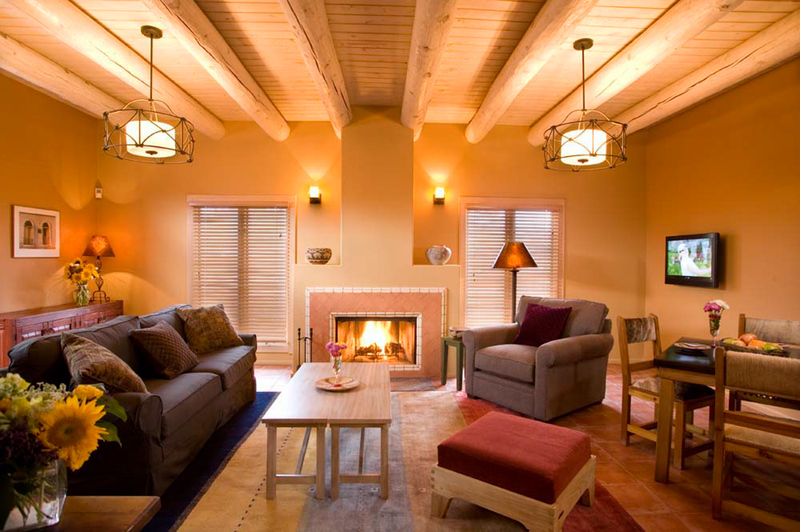 Our casitas offer everything needed for you and a few friends to unwind, hangout, or sit by the fireplace. 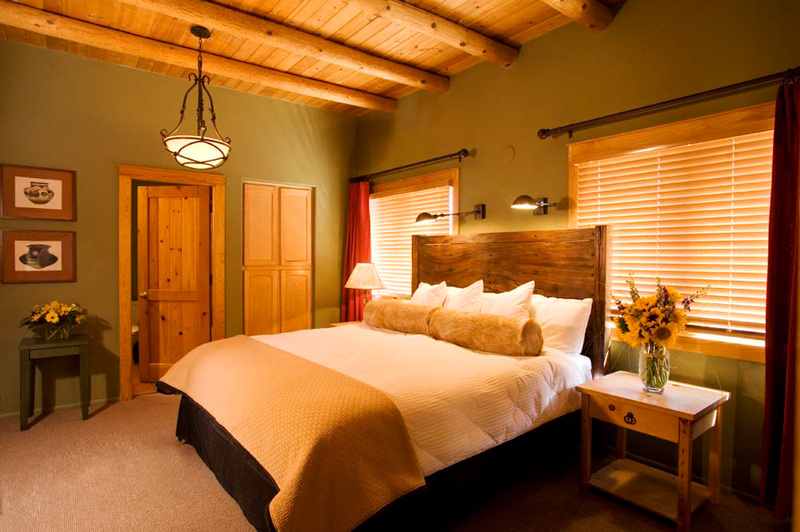 These rooms offer a master bedroom with a king bed, a private bathroom, plus a separate living area with a queen size sleeper sofa. 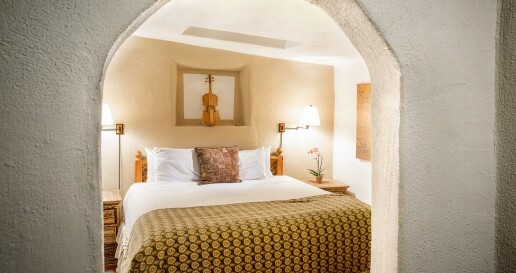 Our super casitas offer a little added room to enjoy the warmth and charm of Santa Fe. 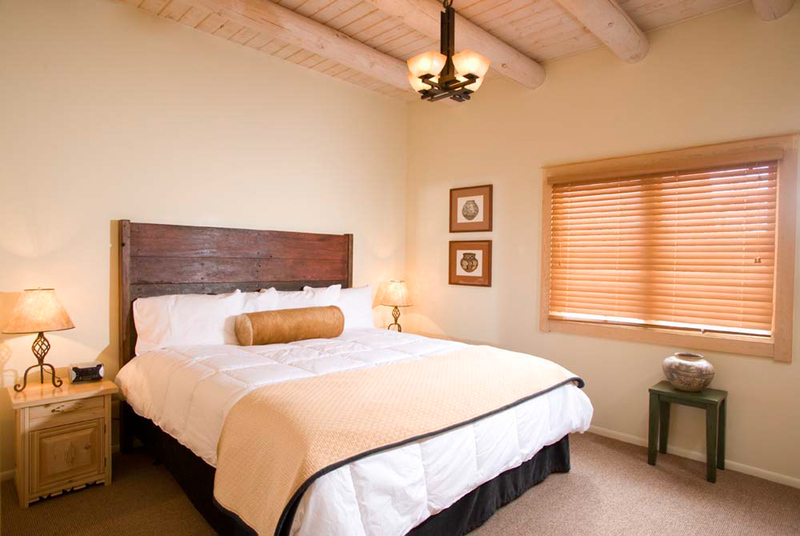 These rooms have all of the features of our casitas with more space to spread out and plan your adventures. 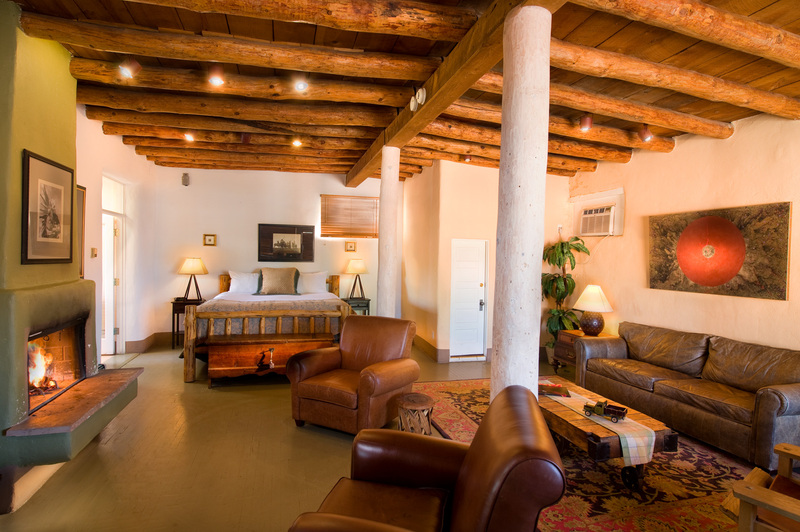 Our one, two, and three bedroom condominiums in Zona Rosa offer spacious lodging, composed with the eclectic flair of Santa Fe. 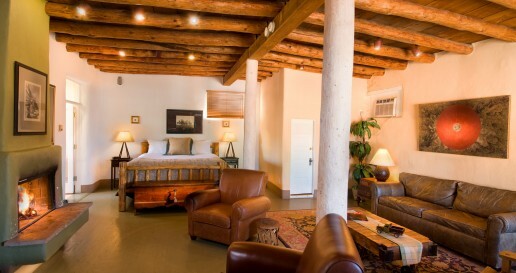 Zona Rosa is ideal for larger groups and families, wedding groups, family reunions or just a friends’ weekend getaway. 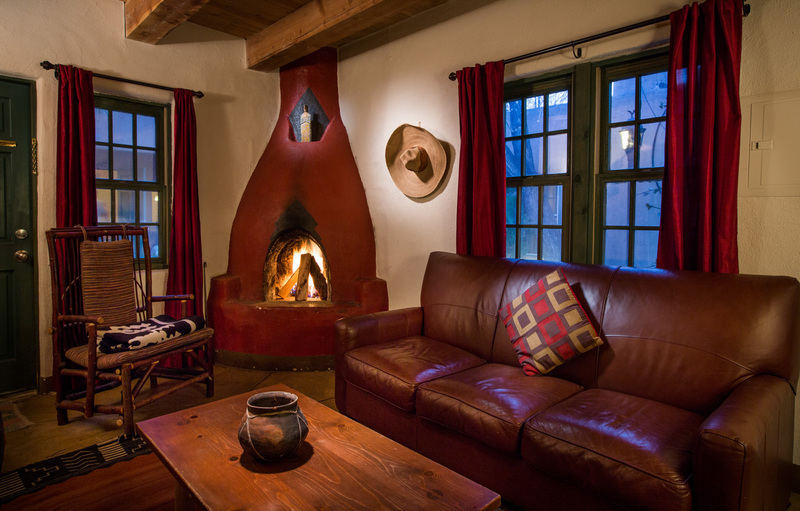 Guests will feel welcome in their own private bedrooms and enjoy the large living room area, equipped with a wood burning fireplace and a full kitchen to ensure you have everything you need for a memorable New Mexico adventure.